Fashion buying. You’ve obviously heard of it, but what exactly does it entail? We spoke to our feisty fashion buyer Gemma about her rise through the ranks here at PrettyLittleThing. 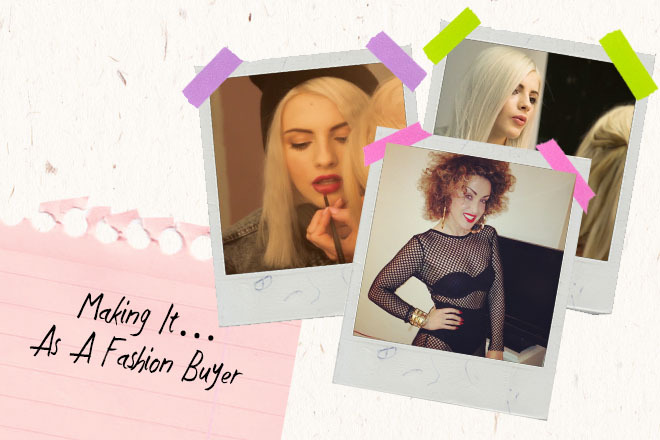 �There are more ways to get into Fashion then through going to Uni, and Gemma proves just that so listen up! I didn’t go to Uni guys, SOZ! What made you want to work in fashion? It actually took me until I was 30 to decide what I wanted to do – after many years of working to line other people’s pockets doing jobs that didn’t excite me I decided the only way forward was to do something I over and that way I’d never work an awful day again! Fashion was the only way forward! All I needed to do was decide what part of the industry was most suitable for me and make it happen – somehow!! How did you get to PLT? I knew that opportunities in fashion were hard to come by outside of London, especially with no qualifications, so I decided o move to London temporarily to gain the experience I needed. I got a job in London working for an independent designer as an assistant and eventually worked my way up to being manager. I stared freelancing as a stylist on the side as a way to network and build up my portfolio. After two years in London (a very busy, exhausting and expensive 2 years) �I was ready to come home andI heard that PrettyLittleThing were recruiting. The fact the brand was so new excited me and I believed I was destined for big things, so I made a call and introduced myself to Umar (the MD) who invited me for a meeting. It sounds really corny but that day was the first day of the rest of my life. I initially secured a role as a Creative Assistant, which was varied and exciting, and eventually made my way up to working as part of the Buying and Design team! I literally have my dream job! My day always starts with compiling the previous days best seller report so we can see what our customers are buying and not buying. Off the back of this I do re-buys which allows replenishment of the stock that is selling so we’re never sold out of popular styles. I communicate with the suppliers in the UK and China making orders for new styles and spend time travelling on buying trips to source new designs and negotiate prices. I will source the fabrics for exclusive designs and manufacturers to make the samples and handle production. I often scour the internet and magazines for inspiration before I go buying! I will also spend time processing the new stock samples so they can be shot before being put online. Every single day of my working life is different – no two days are the same except for the fact there is ALWAYS work to do. We’re always learning, growing, progressing and making sure we stand alone and strong against our competition. What’s been your most memorable moment so far? My first day! It was one of the best days! I felt so scared but excited, I was actually so excited I fell over in the middle of the office (embarrassing). Filming all our adverts, the launch of our first collection…there’s just too many! Every day is memorable! What are your top tips for someone wanting to work in fashion? Be prepare to start at the bottom, it’ll help you earn your way to the top. Work hard – there is A LOT of competition so don’t slack. Be prepared to learn something new every day, it’s not a 9-5 it’s a lifestyle (and an amazing one at that! ).